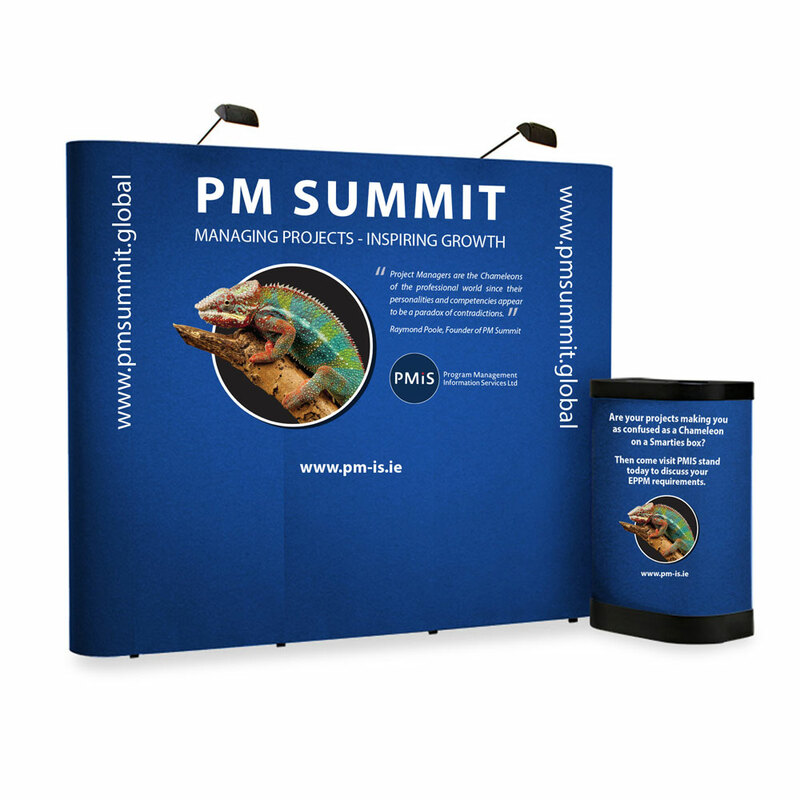 If trade shows are not really your thing, but you need a professional looking display stand for occasional events, this Pop Up Stand is the perfect solution for you. This nifty piece of marketing kit gives you everything you need to create an ultra-slick display, without having to sink most of your marketing budget. Our Fabric Popup Stand is not a magic wand, but it’s pretty close. Lightweight and easy to assemble, it can be set up in under 60 seconds. If you are serious about showcasing your product at your next trade show or exhibition, consider the job done with this marketing wonder.